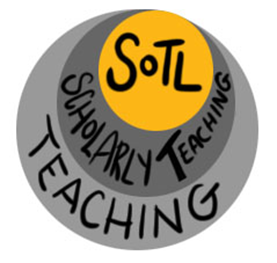 The purpose of SoTL is to improve student learning by implementing optimized teaching practices based on research and evidence to support changes in practice. But what is the value of SoTL for faculty? Many SoTL practitioners, publications, and journals list potential benefits of a proactive approach to classroom scholarship, some of which are articulated in the video: Making a Case for SoTL. This video also makes a case for institutions to support faculty who are engaging in SoTL research. Gary Poole (Senior Scholar in the Center for Health Education Scholarship, Faculty of Medicine, University of British Columbia) shares strategies for making a case for SoTL in institutions tenure, promotion, and reward systems. Source: Center for Engaged Learning at Elon University and the International Society for the Scholarship of Teaching and Learning (ISSOTL). This video was produced for ISSOTL Online 2013. From the list of potential benefits below, pick a few statements that would motivate you to become more engaged in SoTL activities. Update your document in the SoTL Research Plan Folder to reflect two to three value propositions that would motivate you to participate in SoTL activities. Compare with a few others.